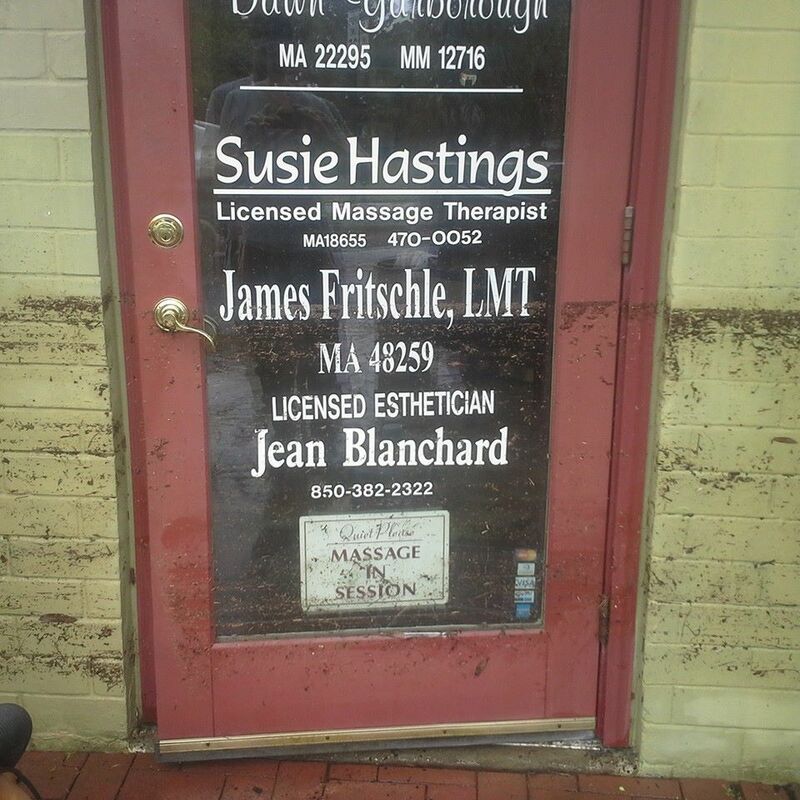 After 7 weeks being displaced by the flash flooding, massage sessions are available at my E. Romana Street location! As many of you know, my office space downtown had about three feet of flash flood water damage early morning Wednesday morning April 30. 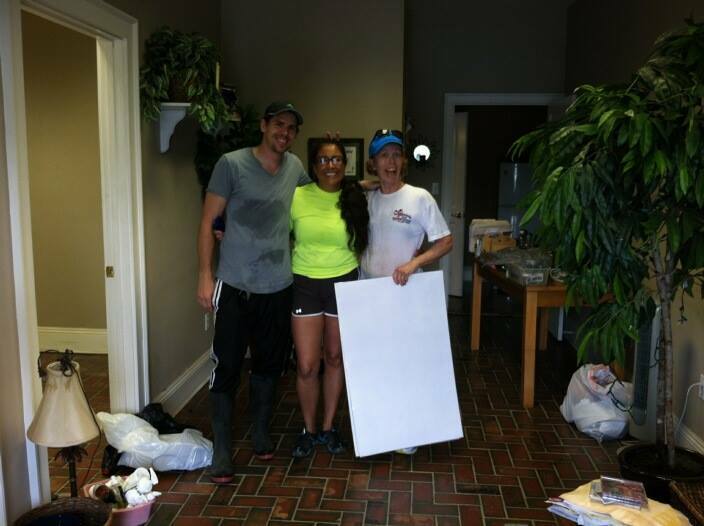 My office mates and I were fortunate to get into the office that same morning after the waters quickly receded to quickly begin the clean up. As of last week, the building has been gutted of the damaged carpet, drywall, and insulation and allowed to dry for several weeks before drywall and painting has begun. There has been a back order on certain building materials locally, but we expected to be moving back in this coming weekend after six weeks of being displaced. In the interim I have been doing home and office visits for my long time clients. Thank you to everyone for your gracious support. 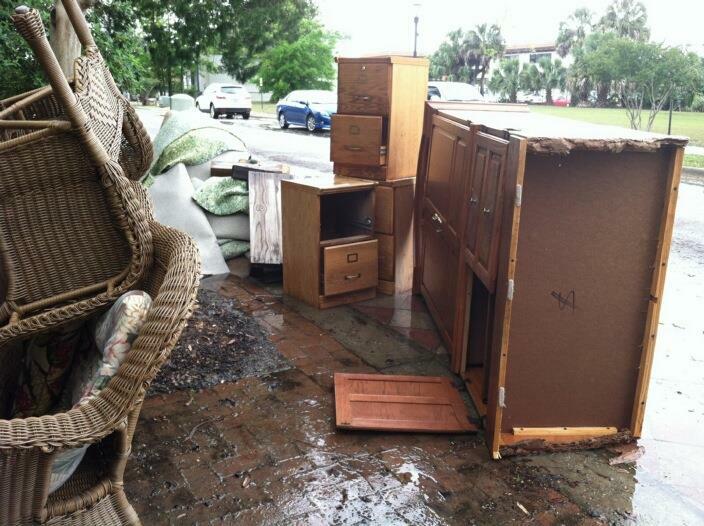 My heart goes out to everyone who has had flood damage to their homes here in the Pensacola area. I am also so very fortunate to share an office space with two inspiring massage therapists, Dawn Yarborough and Susie Hastings. Both these ladies know how to roll up their sleeves, take life as it comes and meet it with resilience. After we get settled back in, I hope we can do a open house or grand reopening celebration. 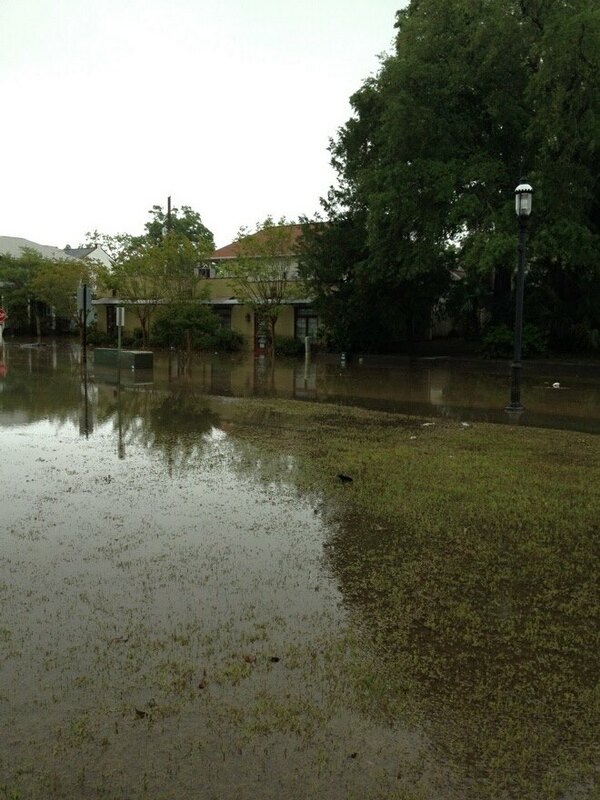 Categories: Uncategorized | Tags: flood water damage, office space | Permalink. All of you golfers and tennis players out there: take heed! Becca recently had issues with her knee. Thought this post was timely and wanted to share with you. Enjoy! (L. straight + femur) This muscle of the quadriceps group follows a straight line down the front of the thigh originating from the anterior spine of the pelvis and attaches to the tibial tuberosity via the patellar tendon. The rectus femoris is the only quad to cross both the hip and knee joint making it a hip flexor as well as a knee extensor muscle. This muscle is vital to knee joint stability in walking and running. It is most susceptible to blows or trauma because of its location front and center of the thigh. Other common sports injuries include: “Jumper’s knee” and partial tears. Categories: muscles | Tags: Knee, Muscle, Rectus femoris muscle | Permalink.